Come join us this summer at the Institute for Environmental Journalism. 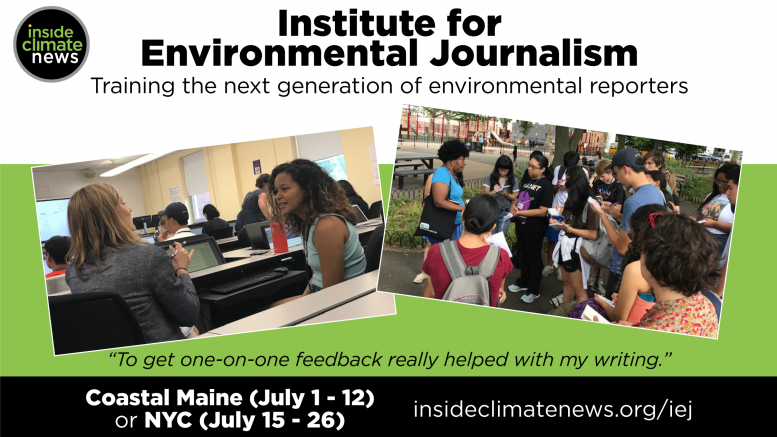 The Pulitzer Prize-winning news organization InsideClimate News is running two summer journalism programs that introduce newbies to the process of environmental journalism and give more experienced reporters a unique approach to covering climate change. Spend two weeks in NYC or Bar Harbor, Maine, where you’ll learn from award-winning journalists and instructors, immerse yourself in climate science, go off-site on reporting trips, hear from guest speakers, and most importantly work each afternoon reporting and producing an original piece of publishable journalism they will complete by the end of the Institute. Through the institute, high school students and recent graduates from all backgrounds will learn to become credible voices for their communities through non-partisan journalism focused on the environment. Dip your toes into a fresh beat that will grow in importance around the world. No matter what journalistic content area you are covering now or what you want to cover as a professional, this hands-on primer in climate change reporting will up your game. 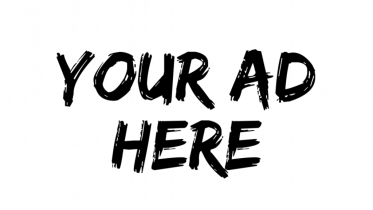 Be the first to comment on "Institute for Environmental Journalism"